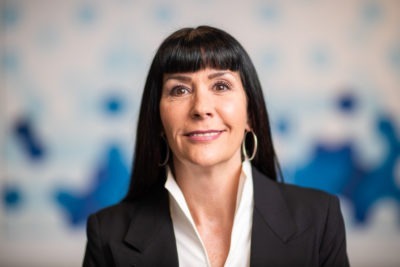 Julia is Senior Vice President of TC Media – Local Solutions, a division of Transcontinental Inc. She is an experienced Media Executive with a career spanning over 30 years. Prior to her current role with TC Transcontinental, Julia held senior leadership positions at Sun Media – Quebecor, Osprey Media and Torstar, and has served on the board of Newspapers Canada. 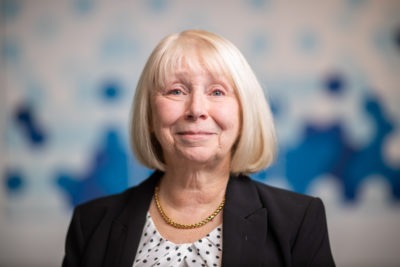 In addition to her current role as Board Chair of Hamilton Health Sciences, Julia has been an active member of other public sector boards including Brock University and Niagara College. 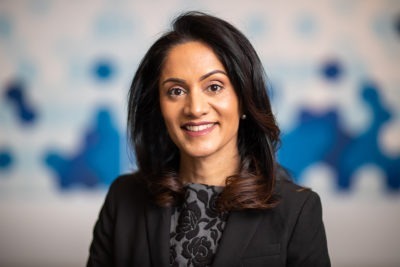 She is a member of the Institute of Corporate Directors and is currently enrolled in the Directors Education Program at Rotman School of Management. Indy is Vice President, Regulatory Affairs of Alectra Utilities Corporation. A primary strategist, Indy assists in developing policy positions for emerging issues from the Ontario Energy Board, Ministry of Energy, and Independent Electricity System Operator. Indy chairs various industry committees and speaks on topics related to the electricity regulatory framework and issues. Prior to this role, Indy held senior roles at Horizon Utilities, Carbon Capital Management, EPCOR and Direct Energy. Indy holds an Honours Bachelor of Science and a Master of Business Administration (MBA) in Finance from McMaster University. Indy is Vice President on the board of directors of Mainstage Theatre Company. 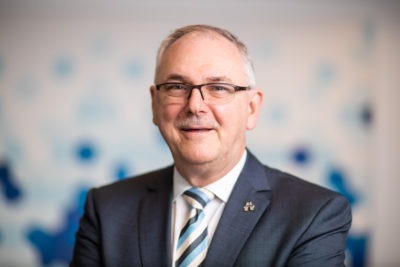 David is President & CEO of the Electrical Safety Authority of Ontario, public speaker on topics such as smart grid, electric vehicles and conservation, and member of the Chartered Professional Accountants of Canada. 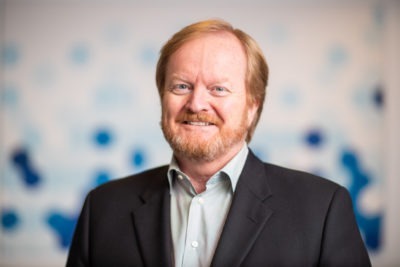 He is Chair of the Board of Directors of Plug ‘n Drive Ontario, a founding member of Ontario Smart Grid Forum, Smart Grid Canada Board Member, and former Board Chair of the Electricity Distributors Association (EDA). David is past Board Chair of the Hamilton-Burlington United Way and a board member of Joseph Brant Hospital Foundation and Burlington Economic Development Corporation. David is a Directors College of Canada faculty member and guest lecturer on regulatory practices, part of a Harvard Kennedy School of Government program. Charles is a mediator, arbitrator and consultant. For over 33 years he was a lawyer at Agro Zaffiro LLP from which he retired at the end of 2018. Charles has served as past chair of the Art Gallery of Hamilton, past chair and founding member of the Burlington Community Foundation, past chair of Villa Italia, national president of the Order of the Sons of Italy and a board member of the Sons of Italy (Hamilton) charitable and housing corporations. Charles was the recipient of the 2010 Italian-Canadian Citizen of the Year Award, 2015 Festitalia Heritage Award and 2018 CIBPA Professional Excellence Award. Dr. Hunt is a staff internist at Hamilton Health Sciences and an associate professor in the Division of General Internal Medicine at McMaster University. He completed his MD at the University of Western Ontario (1992) and his internal medicine residency (1996) and MSc Clinical Epidemiology (1998) at McMaster University. His clinical activities include inpatient general internal medicine, perioperative care and outpatient diabetes care. He is involved with undergraduate medical education and internal medicine resident training. He is interested in evidence-based health care and has been a member of the Canadian Diabetes Association Independent Methodologic Review committee since 1998. He is the chair of the HHS Health Records Committee. Richard is a retired airport executive whose past positions include President & CEO of Hamilton International Airport, VP of Operations for Vancouver Airport Services and President of SKAL International Hamilton. Currently, he sits on a number of boards, including Ontario Chamber of Commerce and McMaster Institute of Transportation and Logistics. He is past President and Chair of Hamilton Chamber of Commerce and founding Chair of Southern Ontario Gateway Council and Hamilton Immigration Partnership Council. 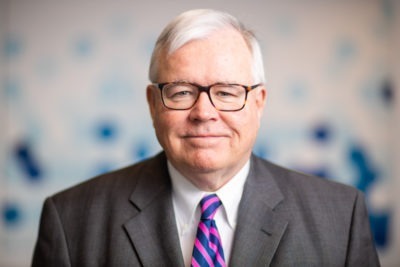 He is former board member of Metrolinx, Theatre Aquarius and St. Joseph’s Hospital Foundation, and former member of Jobs Prosperity Collective, Mayors Advisory Committee on Economic Development and Community Advisory Committee for proposed Airport Employment Growth District. After teaching at Ridley College, Bill moved onto HR roles at Hudson’s Bay Company, Royal Trust, Rogers Communications, Paul Revere Life Insurance and Glaxo Smith Kline Canada, where he became Director of Government Relations. He later became CEO of St. John Ambulance in Ontario followed by Executive Director roles with Ontario Association of Community Newspapers, Ontario Biotechnology Association, Chicken Farmers of Ontario, Ontario Association of Food Banks and Canadian Assistive Devices Association. Volunteer roles included CEO of Ontario Chamber of Commerce, President of Empire Club of Canada and University of Guelph Board Member. He is also an experienced fundraiser for hospitals and universities in Ontario. A McMaster University graduate, David’s finance career included roles with CAE, the world's largest flight simulator company, BCE Inc., Bell Mobility, Allstream, and MTS (Manitoba Telecom Services). David then joined Alliance Atlantis Communications Inc. as EVP and CFO, as well as chairman of Motion Picture Distribution. Before his retirement in 2011, David assisted Bell Canada with their entry into media and broadcast with their acquisition of CTV. An active volunteer, David is Chair of the Council of Chairs of Ontario Universities and Vice-Chair of the Board of Directors for Trillium Health Centre Foundation. In the past, he was appointed to the McMaster Board of Governors. Scott is Vice President, Finance at North America’s leading advanced steel manufacturer, ArcelorMittal Dofasco, and has served on its board of directors since 2010. Scott also serves on the boards of a number of ArcelorMittal Dofasco’s subsidiaries and joint ventures. 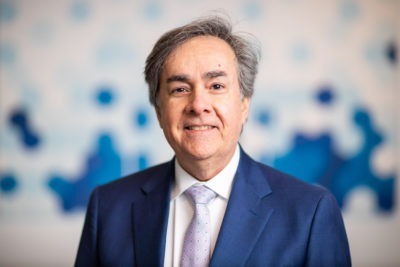 A Chartered Accountant and graduate of Wilfrid Laurier University’s School of Business and Economics, he has held a number of senior leadership positions with ArcelorMittal Dofasco over his 30 years with the company. Dr. Miller is an active staff physician at all three emergency departments of Hamilton Health Sciences. He is an assistant clinical professor within the division of emergency medicine at McMaster University. His administrative interests as the site lead for Hamilton General Hospital’s emergency department have included quality improvement, education in medical leadership and systems integration. His academic background includes a Masters of Health Administration and Policy from the University of Toronto, where he was awarded the Robert Wood Johnson Prize from the Canadian College of Health Leaders. Keith is the Dean of International Education and Partnerships at Mohawk College. In this role, he provides leadership for international students, internationalization initiatives, and partnership programs in support of the College’s academic and strategic plans. 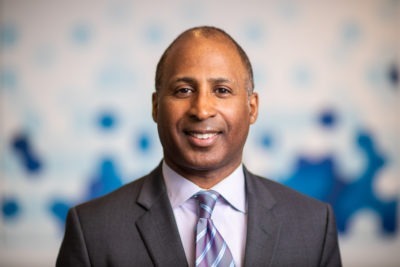 Previously, Keith has held education, information technology and health leadership positions at McMaster University, Merck Canada, Canada Health Infoway and Telus. Keith actively serves on a number of health and academic advisory bodies and is a board member for Literacy South Halton. Dr. O’Byrne is the Dean and VP of McMaster University’s Faculty of Health Sciences. 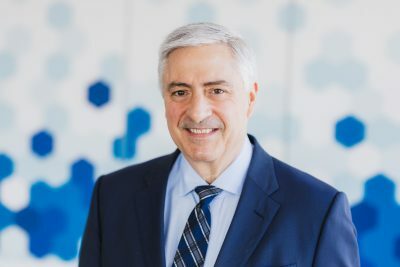 Previously, he was a Professor and Chair of the Department of Medicine at the Michael G DeGroote School of Medicine at McMaster University and also the past Executive Director of the Firestone Institute for Respiratory Health at St. Joseph’s Healthcare. He was elected to the Royal Society of Canada in 2010, and was awarded the European Respiratory Society Congress Award and Medal in 2011. He was elected to the Canadian Academy of Health Sciences and appointed Distinguished Professor at McMaster University in 2015. Dr. Shields is an Assistant Clinical Professor, School of Nursing, McMaster University. 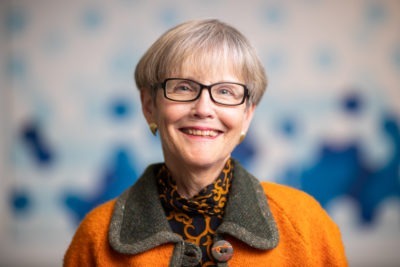 Her career as a nurse educator, as a senior administrator, and a consultant includes international teaching experience in management and organizational development. She has worked with government and both private and public sector organizations on issues related to effective governance, organizational development, and policy. She has 25 years of nonprofit and public sector board governance experience in community health, social services, education and hospital systems and holds a PhD in Policy and Administration with a research focus on the governance of public serving organizations and the development of professional leadership capacity. Shirley has over 30 years of expertise in Senior Care and Housing. Prior to her VP role at Sienna Senior Living, she led the independent group, Thomas Health Care through growth and expansion. Shirley is a strategic thinker who currently works on the creation and construction of Senior Living Campuses across Ontario. She has over 10 years of Provincial and local Board and Committee experience, which includes the Ontario Long Term Care Association, United Way Burlington & Greater Hamilton, awarded the rising Star Award in 2016, Joseph Brant Hospital, Hamilton Niagara Haldimand LHIN and Hillfield Strathallan College. Mary is a retired high technology executive who has been an active community volunteer for many years. Professionally, she leveraged her computer science education to become the marketing executive in two of Canada’s largest computer companies. Subsequently, Mary established Strategic Decisions Inc., a consulting company focused on business strategy for emerging technologies. Mary’s involvement in the community includes various board and leadership roles with West Lincoln Memorial Hospital, the Grimsby Museum and the Canadian Cancer Society along with other charitable organizations. She was awarded the honours of Grimsby’s Citizen of the Year in 2011 and the Queen Elizabeth II Diamond Jubilee Medal in 2012 for her work in the community. Kurt has been President & CEO of Ancona Capital since 2014. Ancona Capital is a private equity fund specializing in business growth and turnarounds. Prior to this Kurt held a number of senior executive roles at Maple Leaf Foods including Vice President and General Manager of a large sales division. 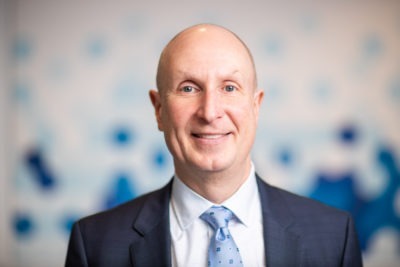 Kurt also had a 17-year career at Bell Canada holding executive positions in finance, shared services, information technology and human resources. Kurt is active on a number of for-profit and charitable Boards. Additional volunteer activities are focused on a number of youth sports organizations and coaching.